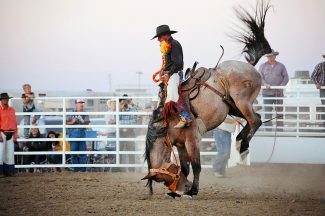 The 2017 finals didn't go as swimmingly for Justin Quint as the prior two Western States Ranch Rodeo Association (WSRRA) National Finals Rodeo. Quint was the world champion ranch saddle bronc rider in 2015 and 2016. This year he had to settle for reserve champion after breaking his fibula in two places, and having to forfeit riding his two broncs on Sunday. 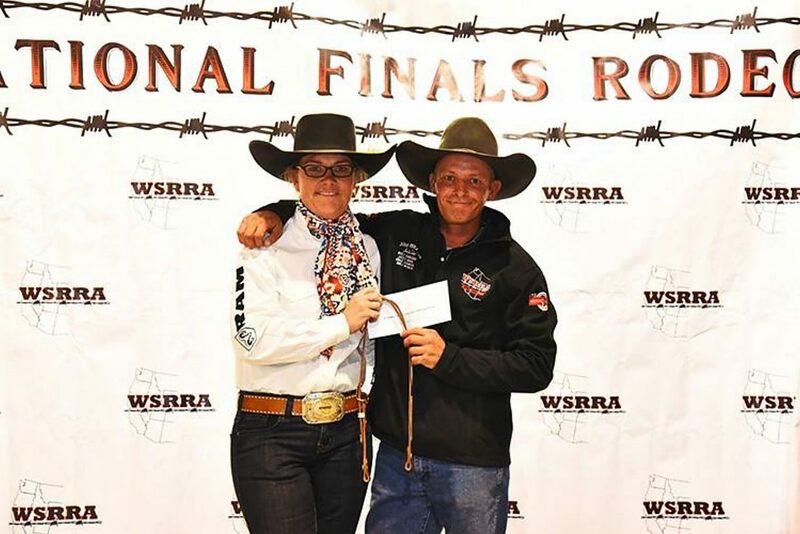 He injured his knee the first weekend in September on a big grey bronc in Winner, South Dakota, and allowed it to heal as best he could before finals the last weekend in October. "Going into finals, I was sitting number one; I had a 67-point lead. I rode another bronc and realized how much pain I was in. My right leg was just hanging there. At that level I couldn't be competitive; if I couldn't place, I might as well sit it out," Quint said. "My leg told me that Sunday morning when I woke up." He is also unable, at this time, to work and has returned from Nebraska to his hometown of Akron, Colorado, to the ranch where his dad has worked for three decades. Quint hasn't asked doctors just how long it will be before he can work, though he's estimating several weeks to a month. Loomis helped coordinate an online fundraiser auction with Amanda Mathis. Amanda and her husband Jason also hosted the Justin Quint Invitational 2017 in Akron, featuring bronc riding, bull riding, stray gathering, and mini bulls event, Nov. 25. Loomis will create benefit opportunities for her friend at the Ranch Bronc Bash, Jan. 6, 2018, in Torrington, Wyoming. 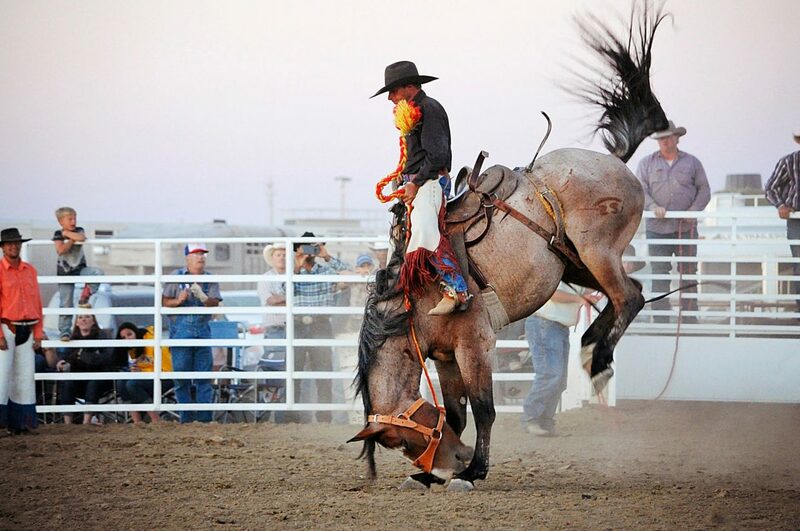 He's a self-taught bronc rider; his saying is that he watched Monte Walsh a few too many times. Either way, he found his niche, and one day soon, he'll get back to it.